On to Part III. 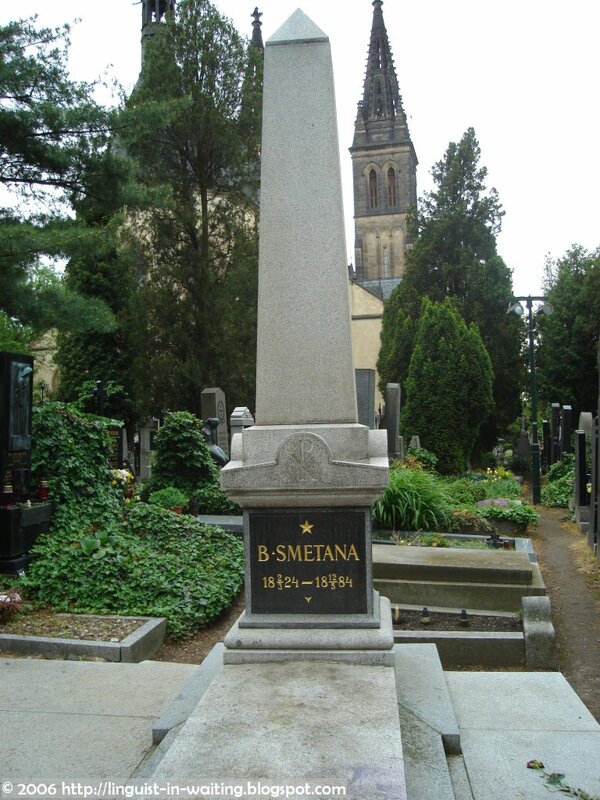 Vyšehrad has a plot of land inside which is being used as a cemetery for famous Czech people. 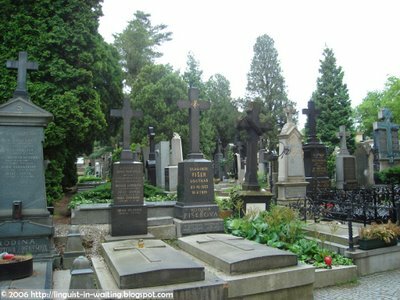 So when I visited the fortress, I decided to take a stroll inside this mythical and mystical graveyard. 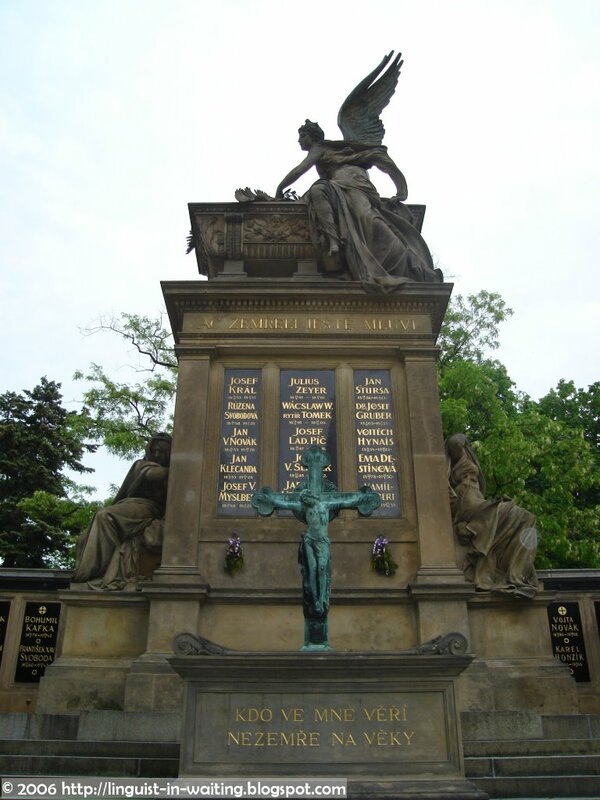 After all, I never was able to take a stroll in Vienna's Zentralfriedhof when I was there, so I'd take one here in Prague, so that I could see the busts of the famous Czechs. 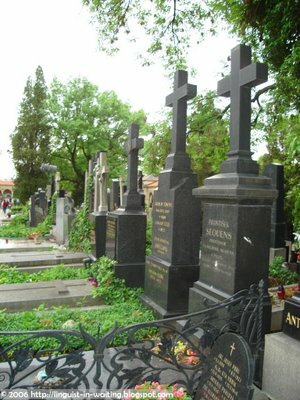 As one can see in this picture, the tombstones are lined close to each other, each of them using polished bright stones. Most are done with marble. 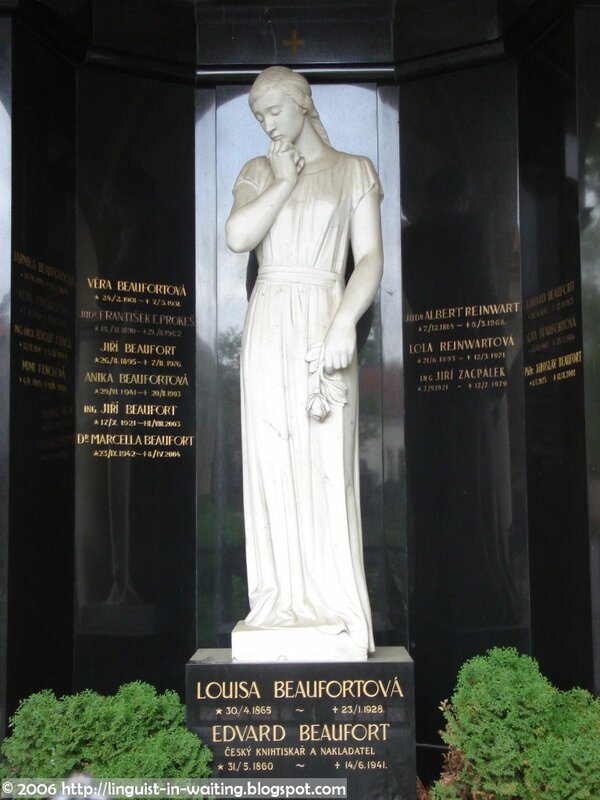 There is a catalog of the names of the people that are buried here posted at the gate, so I noted the famous people that I wanted to meet, and navigated my way through the garden. 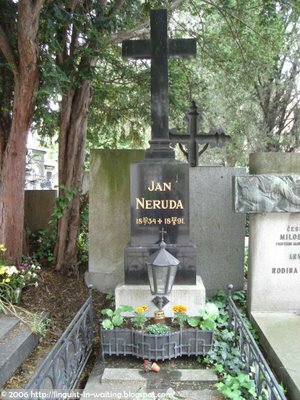 I entered through the path near the Brick Gate, so I immediately came face to face with Jan Neruda, the famous Czech poet, whose name was the source of the pseudonym of the Chilean writer and poet who lived a century later. 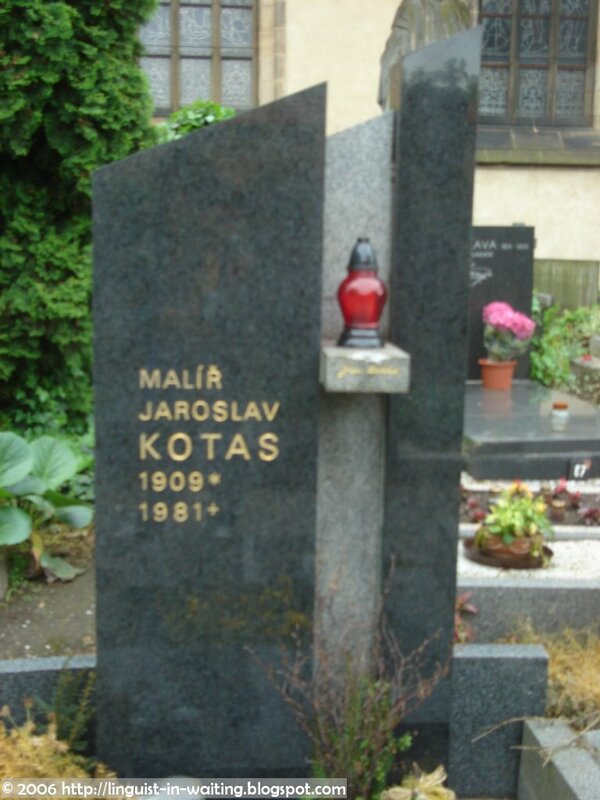 Taking a stroll again, I navigated the tombstones and looked for the Czech names that I would recognize. Then I bumped into Bedřich Smetana, the famous Czech composer, who is best known for his symphonic poem Vltava. Here is a close-up of his name, as carved in the tombstone. This is the Slavín, a Pantheon-like structure within the cemetery. 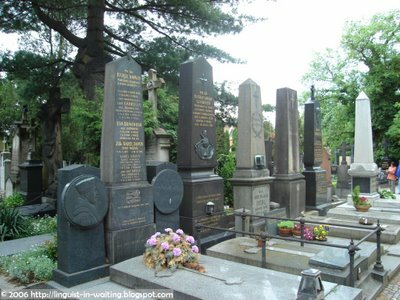 I have no idea whether the people whose remains are buried in this area of the cemetery are more valued than the rest, but some famous people like Alfons Mucha are located in the Slavín. 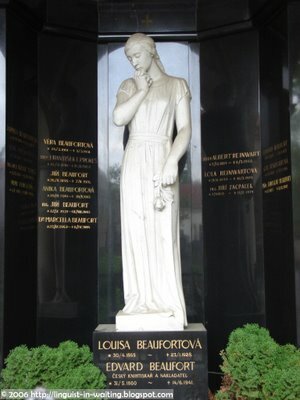 At the very top, below the statue of the female angel, is a motto, which reads "Ač Zemřeli, Ještě Mluví" which means "Though dead, they still speak." How appropriate. Ah, finally, a famous person I really know. 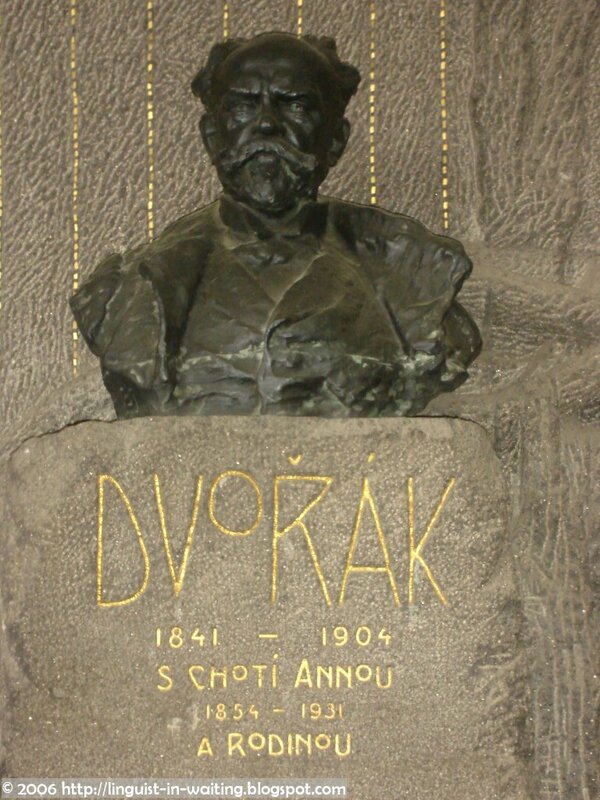 This is the tomb of Antonín Dvořák, the Czech composer I am more familiar with. This is a close-up of his bust. 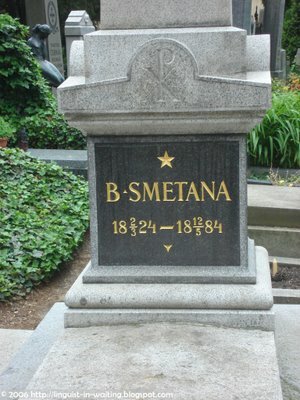 If one looks at the other tombstones, they are so elaborate that one can deduce that these are the remains of once-famous people, and they must have been important to the history of the country. 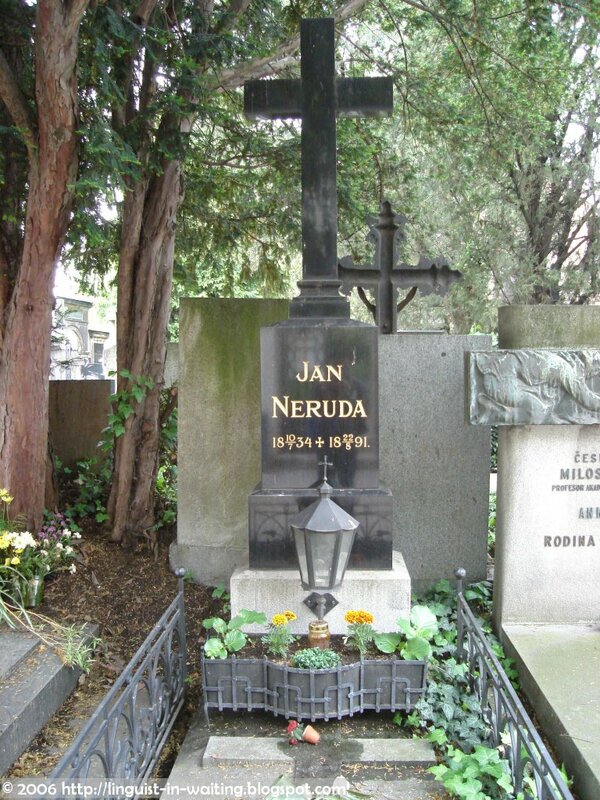 Here and there, one can find recently-deceased people, like the one above. Finally, it's time to depart, to leave the remains quiet, only to be disturbed by the next batch of tourists wanting to see their tombs. Entrance is free here as well, just bring your own camera. Man, I wish I could do some traveling! great pics LIW. wished i could also have the chance to see these tombstones. 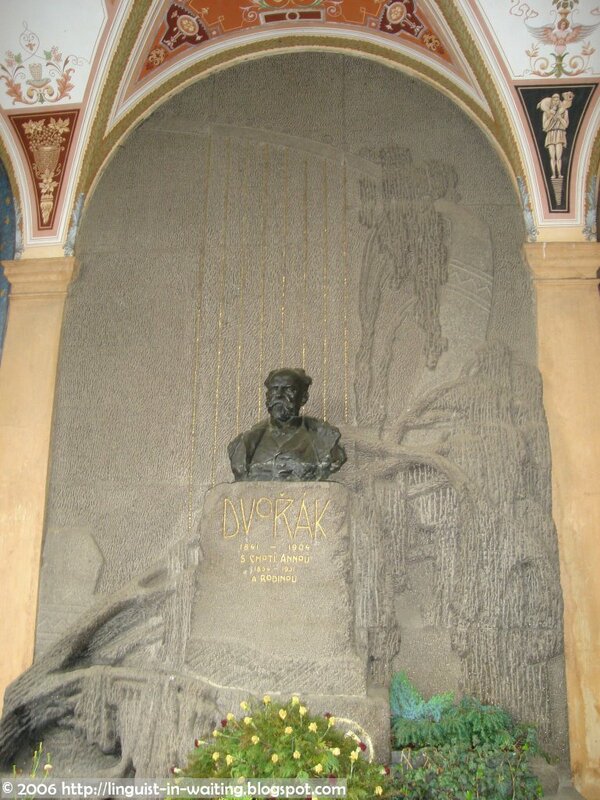 one of my wishes in life is to visit the resting places of famous and not so famous people. 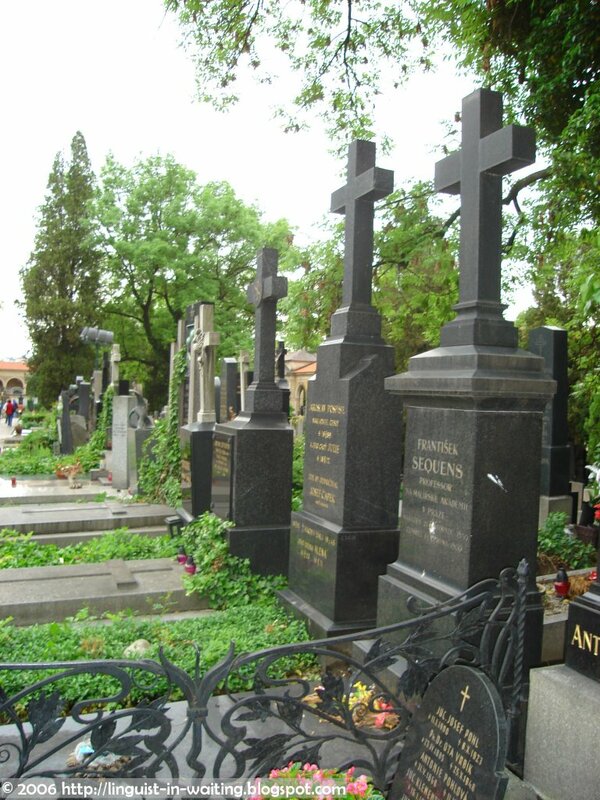 i don't know what's with me but i like going to cemeteries. i feel a sense of peace just looking at names and epitaphs. LIW.. hahaha seems ur enjoying ur trip ha... hahahaha bat ang dami ata castles dyan..